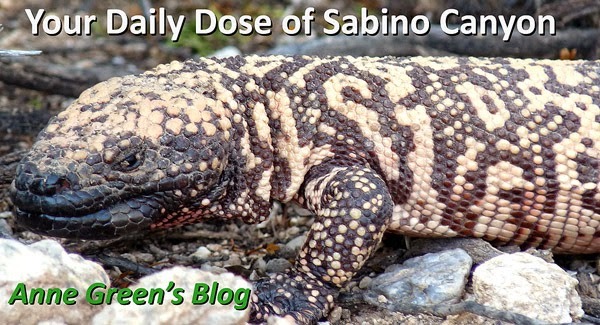 Your Daily Dose of Sabino Canyon: Look, but don't touch! Tiny white or pinkish flowers on stalks, fruit is a dark red berry. As you see, buds, flowers, and fruits are present at the same time. Look for this in the riparian area. As you enter from the steps by the bathroom, this will be on the left in the area where sacred datura (and many other plants) are recolonizing a patch formerly occupied by giant reed. (This area is a real bonanza for wildflowers and other neat plants now.) Leaves of the Rouge Plant are REALLY poisonous; berries are also poisonous. But it's very nice looking.